It’s been quite a few weeks since I updated the internet about my experiences here in the Philippines. If it weren’t for my Twitter addiction or my Facebook updates, one would be forgiven for thinking I had slipped off the side of the Pacific Ocean. Since I last posted, I have settled into somewhat of a routine. Each morning I wake up at 05:50, have breakfast at 06:30 and leave for the training centre at 07:15. We travel in our truck passing over bumpy, pot-holed roads (ironically we pass the headquarters of the Land Transportation Office as well as the Department for Public Works and Highways along the way). We bump up and down before reaching our destination at around 07:30. I will spend my mornings (and usually my afternoons) teaching, thinking about my lessons, or scrolling through my Twitter feed. And so it has been, certainly for the weeks that made up September and October. We come to now, mid-November, and I have recently begun to think about just why I have maintained such radio silence for the last six weeks. The fortnight that surrounded Halloween was particularly tough – I’m not sure for what reason, or why then exactly – but the word that sums up how I felt was malaise, a “general feeling of discomfort, illness, or uneasiness whose exact cause is difficult to identify.” Why was I feeling like this? And why were things as small as having to change my t-shirt midway through the day really getting to me? Many travel writers and psychologists have written about culture shock in various articles and blogs. After an initial period of meeting new and interesting people, tasting delicious food and having intense cultural experiences, the honeymoon – as they say – will become well and truly over. And it was. I somehow felt like I had hit the potholes in the road after the smooth surfaces and interesting sights of my first six weeks. I had become to feel frustrated at the culture. As each day passed, I was finding it impossible to stay energised enough to converse with people speaking in my simplified English and, of course, I was agitated that my language learning was not going so well. I was struggling being the alien whose instinct is to use a knife at dinnertime instead of a spoon or being the stranger in a strange land who can’t fathom what a whole population of 100 million people sees in white rice. My homesickness peaked and I became a little spiritually lost in this wilderness of palm trees and vast ocean. But what I have really found useful is to reflect and focus on everything I have conquered in the last three months. I can clearly see the moments of pride and joy paved down behind me like a golden bricked road of achievement; a road which is firmly solid in the ground not at all like the potholed roads of Provincial Jail Road (I’m not sure if this is its recognised name, but that’s what Google Maps calls it). The golden bricks of achievement lay behind me and, for sure, more potholes lie ahead. And my achievements aren’t great, heroic acts of altruism. Put simply, I have taken real joy and hope from acts as simple as walking into the city to buy crisps or not being (too) bothered when a cockroach crawls along my wall just as I’m about to go to bed. My golden bricks are small milestones in my journey here which may sound silly or somehow mundane to an average Filipino: but they are neither of those things, I am trying to cherish all of my achievements whether great or small. There is a real joy in accomplishing something which is an everyday Filipino practice or custom; a beacon of hope signalling that one day I may begin to feel more confident and somewhat independent in living my life in a new (and let’s face it, still exciting) culture. Finally, when thinking about how to overcome culture shock, there is one last thing that I think is important to bear in mind when attempting to live life more authentically in the place that you are. Try to not see your experiences abroad as a stopover in your life. The road that I am walking did not begin in August, nor will it end next summer. My journey started 24 years ago and, God willing, stretches on a long way into my future. I think my advice to anybody living abroad for a temporary, albeit long-term, stay is to not consider this adventure as a trip with a defined beginning and an end. Viewing the experience in this way puts up barriers. The time becomes a self-contained experience that is somehow seen to “interrupt” whatever path you were taking before you arrived, and upon return home there may be a tendency to not have the experience affect your life and not be wholly transformative as you “pick up where you left off” when returning home. It is in no way easy. As I count up the weeks that I have spent here and the months that I have left, I am constantly aware of time. I just hope that eventually, as I overcome more of my fears and begin to fill the potholes in my journey, I can advance to the next stage of culture shock, the assimilation stage where all of these strange, alien concepts (because whilst I firmly remain an alien in this culture, the culture is still entirely alien to me) will begin to make sense. Who knows, perhaps I will begin to crave left-over pork and rice at 06:30, or even use the time we have no electricity to be productive and not for twiddling my thumbs and thinking about home. Some top tips: Do not be afraid, remember to be gentle, and enjoy yourself. I’m spending most of my energies right now trying hard to do all three. So what exactly am I doing here? It has been a little over a month now since I lifted off the tarmac at Heathrow Airport feeling a combination of excitement and trepidation for what was to come. In that time I have begun to begin to learn a new way of life and settle into a routine here in the Philippines. My tasks here are twofold, put simply: I teach maths and I play the keyboard. Planning my lessons… or playing on Sporcle? 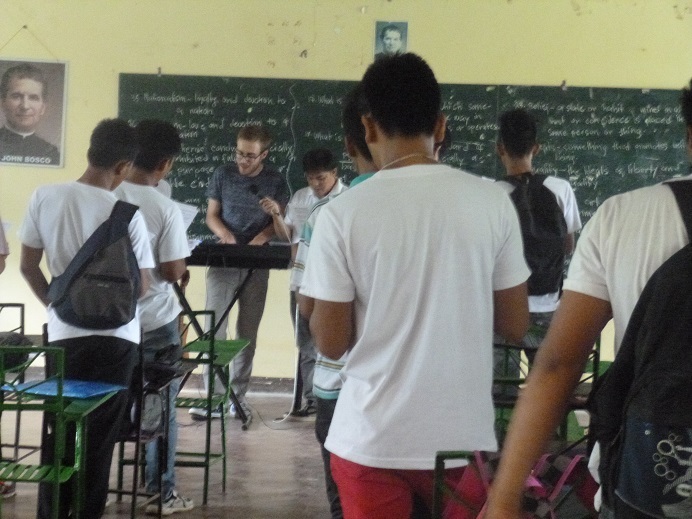 The work of the Salesian community here in Borongan is huge and it is difficult to describe the entirety of their work and ministry in just one blog. One of their major tasks is providing vocational education for a number of trainees (aged from around 16 and up) who are looking to take courses in welding and small engine technology. Throughout the afternoon, the trainees will labour in the workshop learning and working on things that I have no clue about at all. 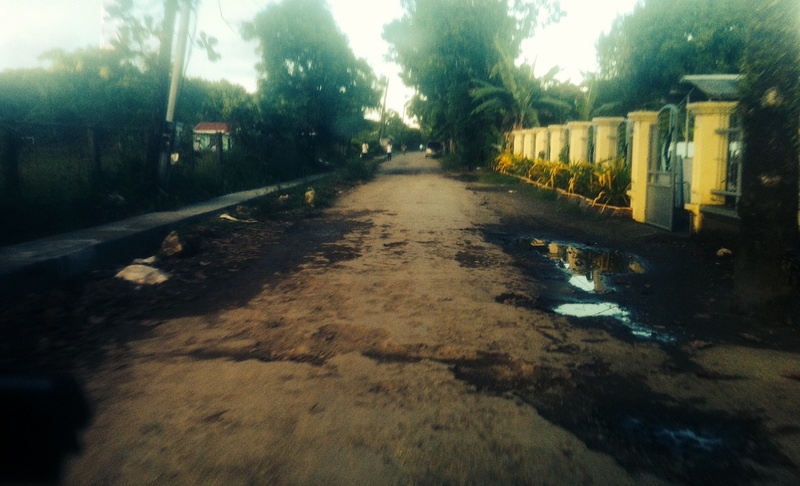 But before all of that, the day begins when everybody arrives to the Don Bosco Training Center at 7:30am. There is a morning assembly and prayer time, followed by a spot of cleaning (the building gets dusty, fast!) and a 2-hour teaching period to follow – the students take additional lessons in English, Christian values, computing and of course, mathematics, which is where I come in! When I arrived, I was daunted by teaching a class of 60 students. I was concerned that I wouldn’t know whether everybody was understanding the maths or that I wouldn’t be able to learn everybody’s names quickly enough. I was also worried that because of my north-eastern accent that my English wouldn’t even be understood. But, with a bit of patience we have somewhat settled into a rhythm and my initial worries are beginning to subside, especially as I get to know the students more. I hope that my time in the training centre can be fruitful. I hope that I can at least offer a glimpse of why mathematics is a useful skill to have. Many in my class (and beyond!) see the subject in black and white. Maths is boring and difficult. I’m not quite sure how to convince them otherwise just yet – but in time, hopefully everybody will see the relevance of what we’re doing and how they can use their skills to benefit their own lives whether it be for future college courses or in their future careers as business people, engineers or part-time Su Doku champs! Singing class with the Trainees! Another big part of the Salesian’s presence here is the Youth Center which is based on the same site as the house I am staying. At present there is a small group of young people of varying ages who gather throughout the week, including students from the local high school and children from the surrounding area. On a Saturday morning we have music lessons where the young people can learn violin, guitar, Filipino bandurria and keyboard – last weekend I was teaching six students how to play chords! Eventually we hope to form a strong group of instrumentalists (including singers) so that we can lead the music every other weekend during the Sunday Mass as well as perform for other occasions throughout the year. I am very much looking forward to going carolling when Christmas time comes! It’s great to see so many young people become interested in playing instruments and they are picking it up fast. I even managed to have a violin lesson myself a fortnight ago; I can play Twinkle Twinkle Little Star, the standard song of anyone’s first experience on an instrument. The construction of the new training centre! I have more activities lined up for the coming weeks, and I’m really excited to be here especially as I am now feeling like I have begun to settle and adjust to life in Eastern Samar. What’s perhaps most exciting is that currently there are builders and construction workers all over the site working on a brand new youth and training centre which means that everything will be contained in one place. I am told that in years gone by there were often between 50 and 100 young people attending the youth centre joining together for a monthly programme, to use the games room and to pray the nightly 6pm Rosary. I hope that by the time all the building work is complete in January there will be more youth flocking to use these exciting new facilities in order that they can begin to grow in fellowship with one another. I have only been here a short time, and have already been welcomed as a member of the DBYC family. I can’t wait for the months to come and see more people join, or return, so that we can create lifelong memories and share together in the richness of life here in this tiny corner of Southeast Asia. “At the first house, just take a little. Then, at the second, take a little bit more. Repeat, repeat, repeat!” This was the advice given to me by Fr. Julius in preparation for the forthcoming fiesta, a 2 day celebration across the whole city to mark the feast day of the patron saint of Borongan. In this case, we were celebrating the birth of Mary which is observed on September 8th every year. Maupay nga patron! Happy Feast Day! Arriving into Borongan a little over 10 days ago, there were already signs that the fiesta was approaching. 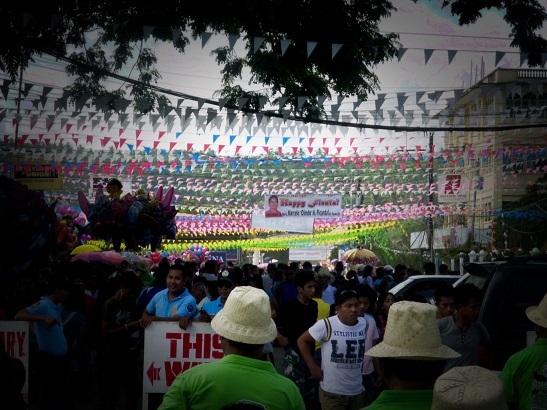 Colourful bunting zigzagged up and down each street, banners of local councillors beamed down over roads wishing ‘Happy Fiesta’ to all those who passed under, and I’m told that the city was starting to get busier and busier with each day in the lead up to the weekend. Singing contests and other such events were also held nightly at the city plaza; all of which were being broadcast live to the homes across the city on the local cable TV station Borongan Catholic TV. When Sunday morning approached, I was energetic and excited for the festivities which all kicked off with the annual parade of the city’s groups, companies and collectives. Our trainees were represented wearing green and grey Don Bosco Training Centre t-shirts, the staff were all wearing pale blue and we all wore straw hats emblazoned with DON BOSCO across the front just so that the crowds we passed could tell who we were (if the two huge tarpaulins with the Don Bosco Training Centre logo didn’t give it away). After waiting over an hour for the groups ahead of us in the proceedings to pass, we joined the back of the parade a little after 8:00am and began walking the route through the streets of the city. 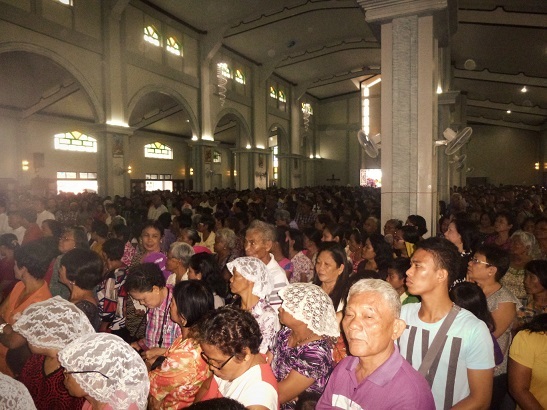 The packed Cathedral during Mass on Monday. It was hot! The sun was blazing in the sky, and everyone was feeling a bit parched. Hoards of onlookers lined the streets, and I was confronted with many stares, giggles and calls of “Hey, man!” due to my white skin making people assume I am American. I think most people were probably wondering who this foreigner was, and were confused how he had even found himself marching in their annual fiesta parade. Throughout many of the experiences I am having out here, I have to sometimes pinch myself; even I wonder how I had found myself marching in their annual fiesta parade. Following the parade, there was a dancing contest in the plaza with many groups from Borongan and afar taking part. The sun was baking hot, and I have no idea how they managed to dance for so long. The eventual winners came from Cebu and accepted the ₱150,000 (roughly £2,000) prize money, although I am told that this probably would only have just covered the cost of their transport, costumes, training, etc. By the afternoon and into the following day, the real spirit of the fiesta became clear. It is traditional for every household in the city to open up its doors and provide a veritable feast for all those who enter. Families will invite friends and colleagues to stop by and dine on all sorts of different national dishes and delicacies. Over the course of the two days, I entered eight different households and ate fresh fish, seafood, meats and more. There were plates of rice, noodles and vegetables, as well as plates full of cake and Filipino desserts. 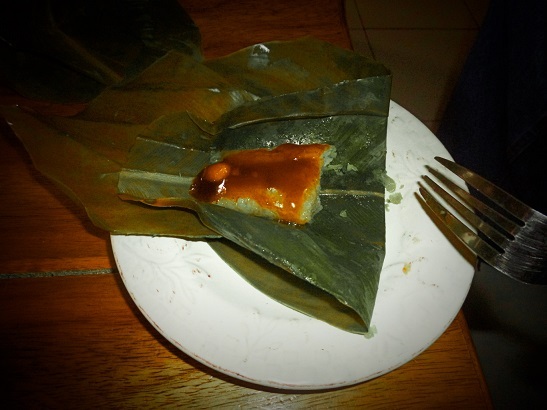 My favourite was the “sticky rice” which was compressed rice held together in a palm leaf which had lashings of a sweet, sticky coconut jam poured over. Delicious! I was taken aback by the effort each and every household put into the fiesta celebrations. It was clear going from one house to the next that the families we were visiting had different household incomes. Yet, in spite of these financial differences, each put just as much effort into providing delicious food for their guests. The fiesta clearly brings people together, and I was able to take advantage of this as I was soon engrossed in great conversation about Filipino culture, politics, and education, to name but a few of the topics we touched upon with people from all different kinds of backgrounds. From feeling very self-conscious walking in the parade the previous morning, I suddenly felt overwhelmed by the welcome and kindness of these strangers. Perhaps all it takes is for one invitation to dispel stereotypes or preconceived notions about the way in which we live, or how we spend our time. I think our world could take a lesson from this type of welcoming and maybe we should all be challenged to strike up a conversation with the strangers who have moved into our area or offer a helping hand in the street to somebody who looks like they don’t belong. Believe me, from my perspective here in this foreign land, it is appreciated. I finished the evening of September 8th participating in what can only be described as a national pastime… karaoke! Or, videoke as they like to call it here. As I finished singing what felt like my hundredth song (they kept passing me the songbook and mic, honest!) I began to feel tired and sleepy. It had been a long weekend and I truly felt like I could never eat again. As Tuesday rolled around, I quickly began to realise why exactly it is that the day after the fiesta is also regarded as a day off… I spent the day catching up on sleep and reading my book. What a weekend! 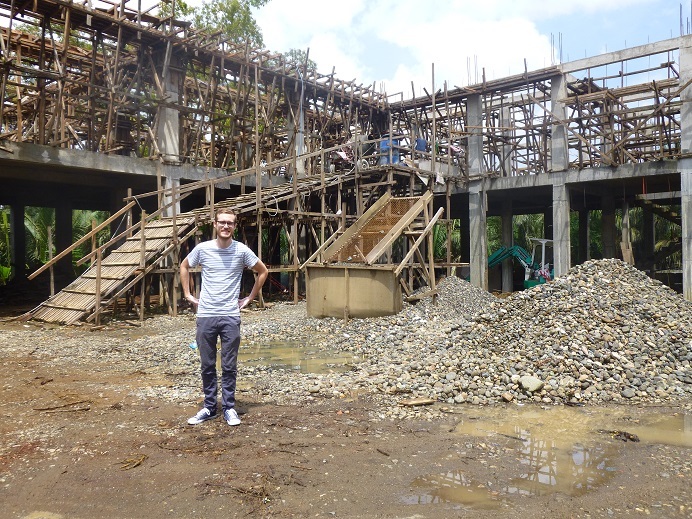 It’s been a week since I crash landed in the Philippines, and an awful lot has happened. I left England to weather reports of overnight freezing, and arrived about 2 days later in the tropical paradise of the Philippines. The journey was long, tiring and nerve-wracking. I hadn’t anticipated that I would be jetlagged at all, but it took me a long while to come to terms with being 7 hours ahead of the UK – as I awake, you lot are all turning in for the night. 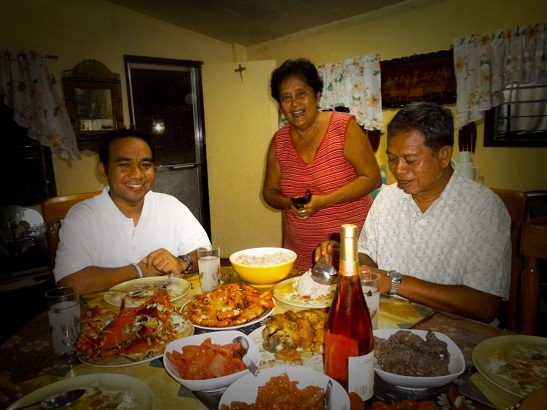 Luckily, for my first few days I was stationed in the Provincial House of the Salesians of Don Bosco in Cebu City. It was a comfortable, air conditioned, internet-ready house with friendly, warm residents and workers. I was instantly submerged into Filipino big city culture – somewhat of a nice transition on my journey to Borongan. I drank iced tea at Bo’s Coffee (a place that, in my head, could only be pronounced as Bosco Ffee), ate Cebu’s famous lechon (pulled pork) at CnT and visited many of the huge malls that Asia is famous for. I was toured around most of the Salesian houses on the island: training centres, youth centres, a seminary, a boys’ home and a retreat house. I met a lot of the Salesian Priests of the South Province, especially as most were in town to celebrate the priestly ordination of Fr. Rooney John Gustilo Undar, SDB last Thursday – which was an experience that could be reserved for a blog post of its own! For all of my friends at YMT, a highlight was hearing ‘Days of Elijah’ play on the sound system as we tucked into tasty Filipino food at the reception afterwards. And so on Friday, I took the journey by plane alongside Fr. Al (one of the Salesians assigned to Borongan) to Tacloban City, the area ravaged by last year’s Typhoon Haiyan. I was taken aback by how much destruction the super typhoon had caused. As we drove downtown in a jeepney, we passed families living in U.N. stamped tents on the side of the road as well as huge swathes of tree trunks uprooted and discarded. It was devastating. One girl I spoke to, a native of Borongan but studying in Tacloban, lost contact with her parents during the storms. Both thought the others hadn’t survived, and they were none the wiser for many days until the parents travelled to Tacloban after Haiyan to see if they were alive. Thankfully, they were, but thousands of others weren’t so lucky and lost their lives; bodies were said to lie unclaimed on the streets when the flood water began to subside. Following our brief few hours in Tacloban, we took a van to Borongan – a journey supposed to only take 4 hours, ended up being 5 and a half because of the poor road conditions as a result of the storms. Huge slabs of tarmac, easily 6 feet by 6 feet, were scattered on the roadside and if we slowed to avoid potholes once, we did it a further fifty times. We arrived at around midnight Saturday, alongside the 5 other passengers in the van and the many, many sacks of lemons that were taking up half of the seats in the van being transported for merchants in Borongan. I have experienced culture shock on many levels since being here. It is very hot, and the city is probably a city by name only. People speak the local dialect, Waray-Waray, rather than Tagalog or English (the official languages here in the Philippines) so it has been challenging being the person always sat on the side never knowing what people are talking about. The Salesian house is very inviting, and feels like a family home with people always dropping by, and although it is not how I am used to, I am having to learn to sleep, eat and wash in a different environment to what is familiar to me! On the other hand, I have met so many kind and friendly people embodying a rich spirit of Filipino hospitality which I have come to appreciate. There are many youth leaders here, former students and members of the youth centre, who are always around and either have jobs in the training centre or they facilitate activities for the young people at weekends. I hope over time we will begin to communicate more freely, and that we no longer have to talk at half our usual speeds. All in all, I have faced personal challenges since arriving one week ago into the Philippines. I am reminded to take one day at a time, and not expect that I can do everything I hope to achieve in just one day. I take huge comfort in knowing that the people here are supportive, even if it takes a little while for us to understand each other’s cultures and idiosyncrasies. And hey, I am getting a chance to play the piano in Mass this week, so for those moments we can be sure to be united in an international language where no Waray, Tagalog or English is needed (oh, well.. except for the lyrics!). I have begun teaching at the Training Centre, a 2 hour mathematics class for 60 students of varying abilites on a Tuesday morning – a subject, I’m sure, for many future blogs. And apologies for the lack of photos, the internet connection here in Borongan is really not up to uploading photos! Hopefully it will improve over the coming months. It’s been a long time since I last posted an entry on this blog. 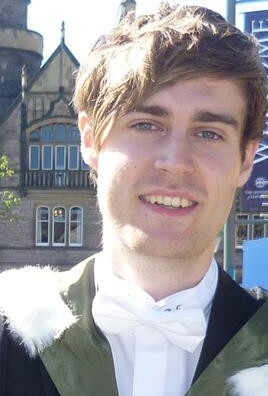 Since arriving back from Tanzania nearly two years ago, I have been able to complete my studies and graduate with an undergraduate degree in Mathematics from the University of Edinburgh. It has been an interesting four years with many joys and a few down periods, and I can truly say I have been blessed with happy memories and inspiring friendships. I will miss those who I have left behind in Scotland as I undertake the next stage along my journey. In just under a week’s time, I will be moving to the Philippines where I will begin a 12-month volunteer placement with the Salesians of Don Bosco. The Salesians are an international religious order which was founded by St. John Bosco in the 19th Century. The main work of the Salesians consists of providing education to disadvantaged young people across the world, carried out with an ethos of love and being “friends to the young”. His method of education and discipline proved successful and the Salesians now work in 131 countries in the world! 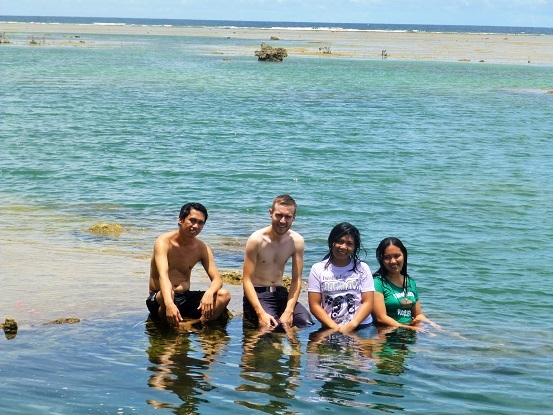 I will be living in a Salesian community in the eastern part of the Philippines in the city of Borongan where I will work in their youth centre and vocational training centre. I’m unsure of the specific nature of my work at this moment, but I am sure to be doing a mixture of teaching, youth engagement and being there to help the community in any way that I can! Whatever my routine will end up being, I am looking forward to getting going and starting something new, becoming immersed in a new culture, a new lifestyle and having some new adventures. I am particularly excited about experiencing life in a country whose population is 80% Roman Catholic. I have heard over the years of distinctively Filipino Christmas and Easter traditions, and I am very much looking forward to exploring my faith through the lens of a completely different Catholic culture, complete with all of the graces and challenges this will, I’m sure, bring along. I will try to post entries to my blog as frequently as I can as a way of keeping in touch with family and friends, but also to communicate and document my thoughts, hopes and fears throughout my time overseas. I’ve enjoyed reflecting on past experiences abroad and no doubt I will enjoy writing about all of the new experiences I will have over the course of the next year. I pray that you all keep well whilst I am away, and I look forward to sharing with you stories and pictures from this very exciting, upcoming chapter in my life. 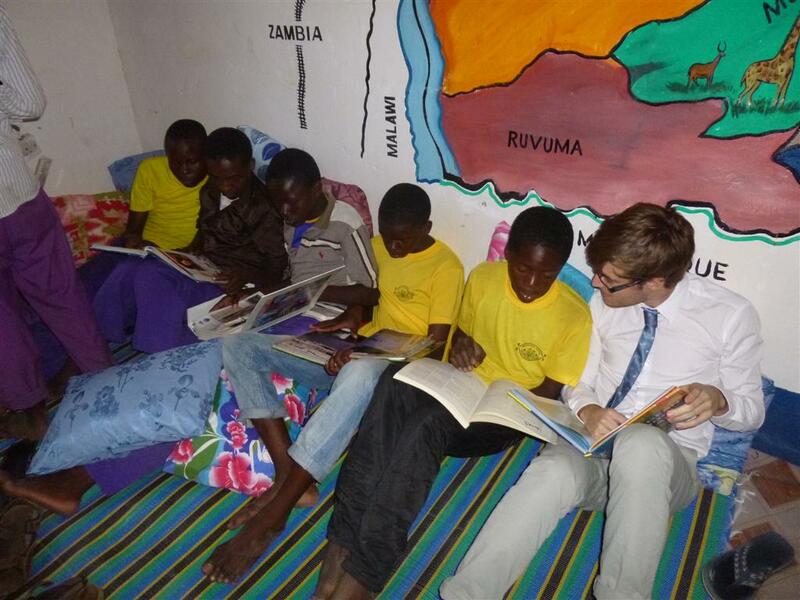 Seeing the students sitting on the striped mat in the ‘chill-out corner’ of the Isevya Secondary School library whilst reading physics, geography and mathematics text books really helped me put the last 12 months into perspective. Looking around I stared at the Tanzanian mural which had only been a blank wall five days previous, I saw the lino on the floor which had been painstakingly nailed and glued down the previous afternoon and groups of young people were standing next to the newly filled bookshelves flicking through textbooks we had brought from the UK. 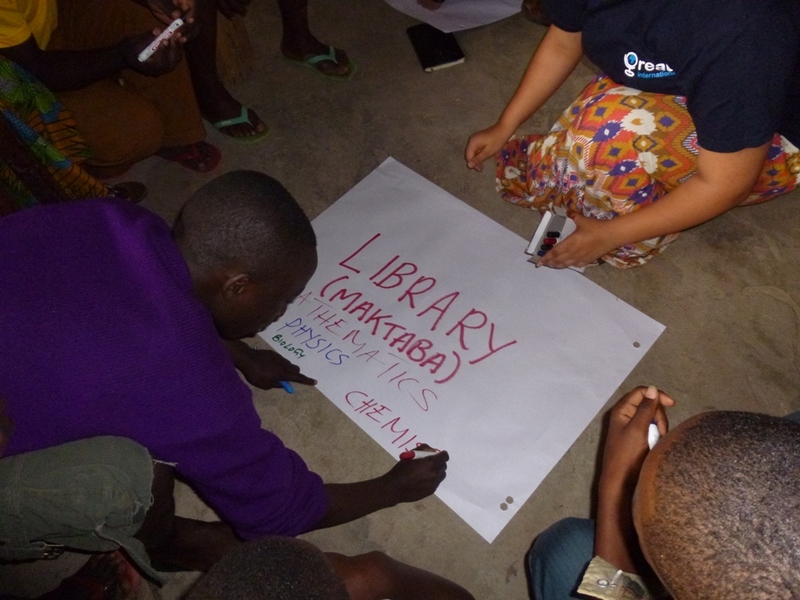 It’s been a long week in Tabora preparing for the grand opening ceremony of the library. At the beginning of the week, and since my last blog entry, we had only paint on the walls, and cement on the floor. By Wednesday, the “2 Mihuri Boys Painters” had completed the mural of Tanzania we had commissioned and time was truly ticking as we still needed to allocate our books to Isevya and pick up our bookshelves. Time management is really quite difficult here in Africa. It’s easy to make an action plan of jobs to do, but when time isn’t on your side you can be guaranteed things will happen six hours later than you absolutely need them to. Thursday evening saw us still not have the shelves in the library, and once they were in, it was a mad dash to stock the shelves with our books; we never seem to learn to plan ahead of ahead. Fortunately, we have made some lovely friends at the Golden Eagle Guest House where we are staying, and we were able to draft them in to help as well as a surprise cohort of students who suddenly appeared in the right place at the right time. And so we opened the school library yesterday morning, and after three weeks of serious ups and downs it was all worth it. 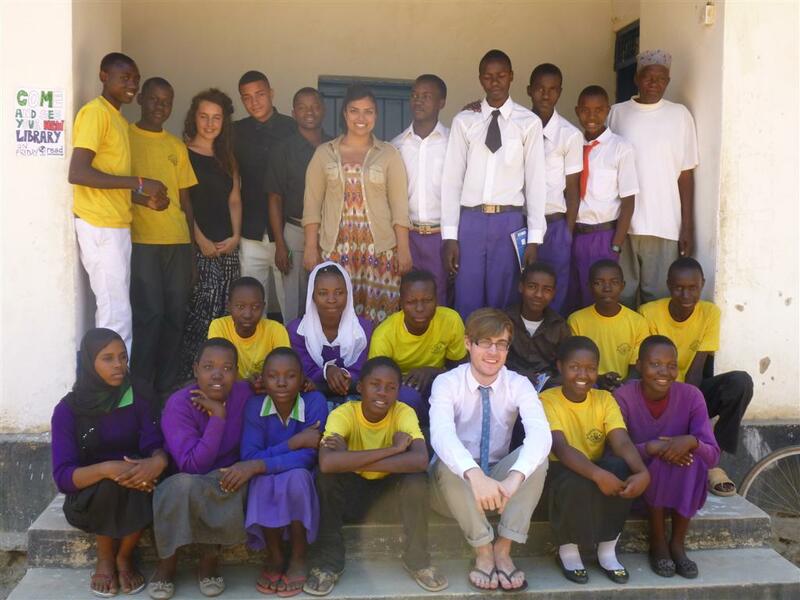 We were joined by the headmaster, a couple of teachers, the District and Regional Education Officers, as well as the local and national news reporters (our faces could have been broadcast over the whole of Tanzania by now for all we know!). We also had about fifty students who were able to see an atlas or flick through a novel for the first time in their lives. Young people milled around for the whole morning, filling the library with an electric atmosphere that the room may never have seen before. One boy, a Form III student named Casper, thanked me for helping bring their library alive once again, a word which captures perfectly for me the feeling of the new library: ALIVE! For every READ International volunteer who may read this entry, for any school teacher who may have donated books from their school, and for those who may have given any money to our cause in the past year: a HUGE thank you! I was asked to pass on the greatest thanks to everybody back in the UK from all of those at the regional education office because the resources and environment that READ has provided wouldn’t have been possible without the work of volunteers in the UK. Looking at the work READ has carried out in Tabora in previous years has seen a visible increase in exam performance and prospects for their young people, so by continuing to support and volunteer at university is genuinely making a difference to the lives of these inspirational young people who are poised to become the next doctors, scientists and politicians of Tanzania. Our last two weeks in Tabora will see us working with students to help them get used to the idea of having a working library in school. We hope to take some of the young people to the local regional library to get a feel for how a referencing system and how a library should function. It has been a real pleasure to work with such fantastic young people once more and I am really looking forward to getting to know more students now that the physical work of the library is complete. It has been difficult, as evidenced in my previous blog, but I feel deep down that the extent of the impact that READ has across the whole of Tanzania is something I will never fully appreciate. I can’t know exactly how students will perform once we leave Tanzania or whether they will enjoy sitting in the ‘chill-out corner’ whilst reading some fiction. But one thing is for sure; that providing or sorting one textbook back in Edinburgh changes the life of a Tanzanian student forever as it is helping to unlock the potential of each and every person, enabling them to go on after they leave school to big and bright things helping them to ultimately reach for and achieve all of their wildest dreams. 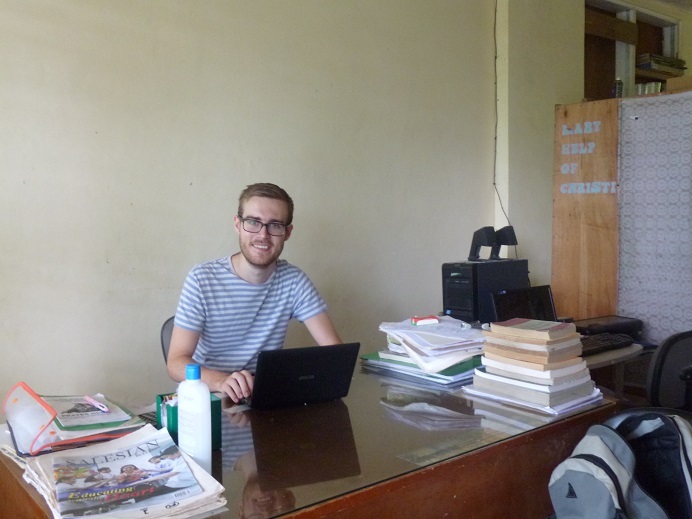 It’s been a really interesting week in Tabora trying to get everything set up and ready for the library which we’re hoping to open a week on Friday (August 24th). With the help of a very kind local named Amrat, who is in Tabora on official government business, we have been able to haggle our way down our prices in order to provide for the library in a way we could only have dreamed of than if we were trying to buy things as regular “wazungu” (white men). 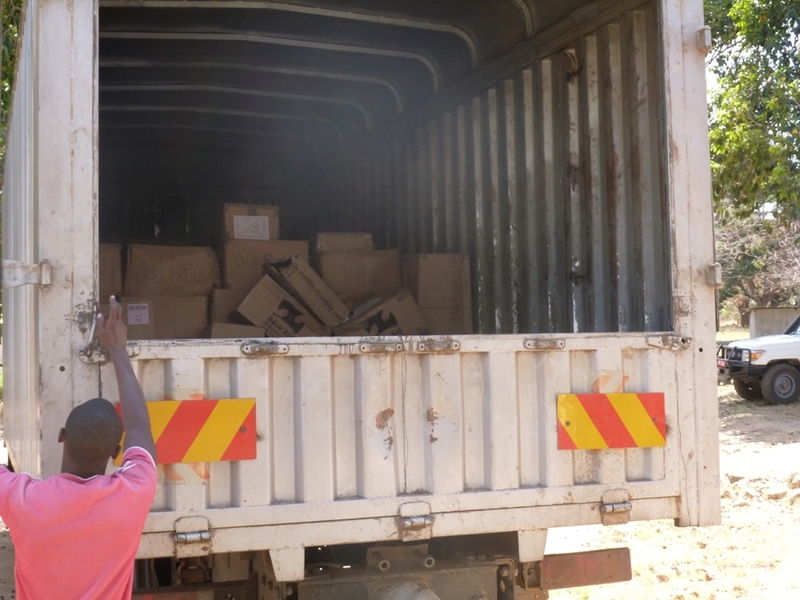 The highlight of the last 10 days was definitely seeing our shipment of books arrive from Dar es Salaam which seemingly took a lot longer to arrive than we were expecting. The truck arrived at Tabora Girls School (a school who has worked closely with READ International in previous years) where we were given the help of the girls to carry the boxes and help arrange them into subject areas. 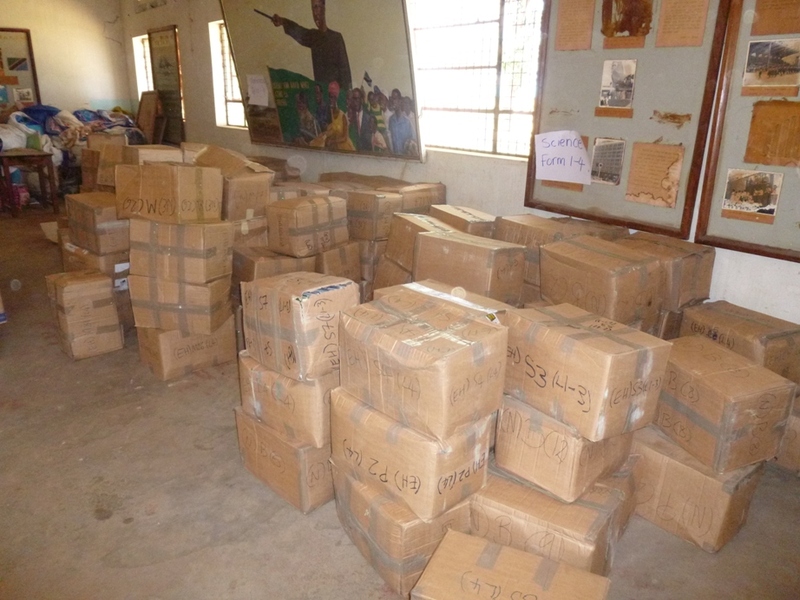 It is curious as to why Tabora Boys wasn’t chosen as a storage location as many of the girls decided it would be better for their biceps to simply drop the heavier boxes anywhere in the classroom (near the door) rather in their appropriate sections. But at last, the books are here! There have been a couple of hiccoughs as we somehow received boxes from other projects and a few of our boxes didn’t make it but we are just happy that now we can begin to allocate the books which we have spent so long collecting back in the UK. 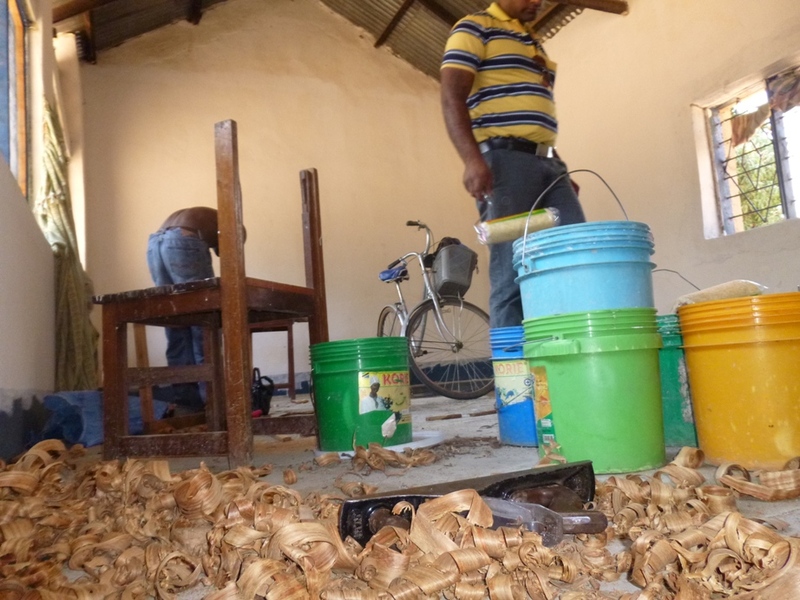 Over at the library at Isevya Secondary, we have been facing some challenges of a different sort. Due to the census taking place, as predicted, we have struggled to interact with students in a way I was truly hoping. Yesterday we arrived ready to paint the library, only to find out the fundi (handyman) had done it all for us, thus missing out on a key interaction with students. It has proven much more difficult to get students involved than I was anticipating. On one hand, the library is progressing very well; our shelves are finished tomorrow, the walls are painted and the windows are in. On the other hand, we have failed (so far) to engage with enough students for them to feel like they have ownership over the project. Yet I am still optimistic, if we have to compromise and we either have the choice to not engage with the students whilst renovating the library, or not engage with the students during activities once the library is open, I would definitely be choosing the former. The beauty of only carrying out one renovation is that we truly do have enough time to work with students on more important matters, how to use the library. We are here for another three and a half weeks, so by putting extra advertisement in school and around the place, we will be able to have some fun with the young people and get them up to speed with the renovation, which in fairness, has been designed based on the ideas which came from a group of students gathered at the beginning of last week. 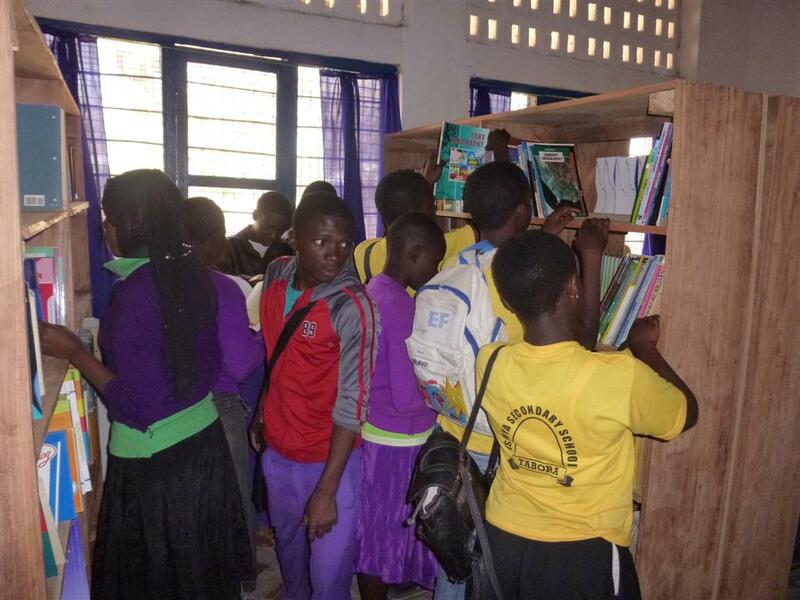 No matter what, we are still making a difference in the community and I know that once the books move into Isevya, they will attract the curiosity of students enough to get them involved with the library. A few young people have even already asked me to help them with their maths homework, so there’s always that! Hi there! My name is Michael and I’m a twenty-six year old Catholic maths graduate who loves youthwork, reality television & pop music.